In today’s fast-paced world, engaging students is a major challenge for teachers. Oftentimes, it’s all about finding the proper motivation. But which type of motivation are we talking about? Intrinsic motivation? Extrinsic motivation? Or perhaps a combination of both? 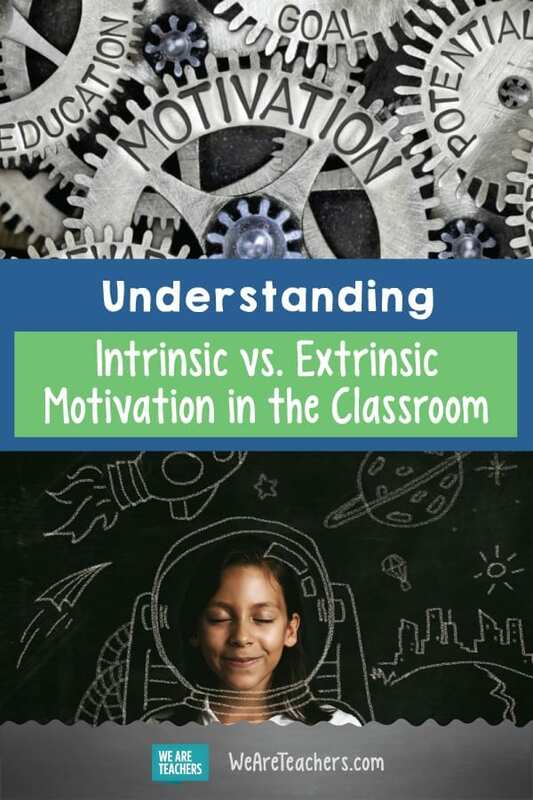 Here, some clarification of intrinsic and extrinsic motivation and a few suggestions to help you inspire your students. Extrinsic motivation is doing something to earn a reward or to avoid a punishment. The primary motivator is external (i.e. you expect to get something for completing a certain task, or you want to avoid a consequence for not doing something). For example, a student studies for a test because they want to earn a good grade. Or they mind their behavior because they don’t want to lose their recess. Students choose behaviors not because they enjoy them or find them satisfying, but in order to get something in return or avoid an adverse outcome. Another criticism is that sometimes kids get hooked on the rewards that come with extrinsic motivation. According to Monica Frank, PhD, “The more children are provided rewards for activities that have natural reward, the more they will expect reward and be unable to set or achieve goals without that extrinsic motivation.” We’ve all had students that demand to know “What are we doing this for?” or “What do we get if we complete this task?” If we provide the “why” for our students too frequently, we stand in the way of them becoming independent learners. Does extrinsic motivation affect a student’s self-esteem? When children rely too much on external motivation, they learn to compare themselves to others and may give too much weight to other people’s opinions. Do I have as many stickers as Mary? Is my teacher happy with me because I did the assignment the right way? If students are always looking outside of themselves for validation, they will be unhappy and unproductive when that validation is not readily available, and their self-esteem can suffer. Common sense shows us that extrinsic motivation is not always a bad thing, particularly when it comes to teaching children. In fact, it can sometimes be extremely beneficial, particularly in situations where students need to complete a task that they find unpleasant. In the classroom, just as in real life, there are many things we have to do that, if given the choice, we would not. Sometimes the right incentive serves as the hook that gets students invested in learning. And, we can’t forget: Kids are still developing and building up their bank account of experiences that provide the basis for intrinsic motivation. So if they need a little external motivation to master a new skill or tread into unfamiliar territory, that’s okay. Bottom line: The key is finding the right balance. So how can teachers spark their students’ intrinsic motivation? The word intrinsic means to come from inside, so it seems counterintuitive to imply that we can train a student to be intrinsically motivated. 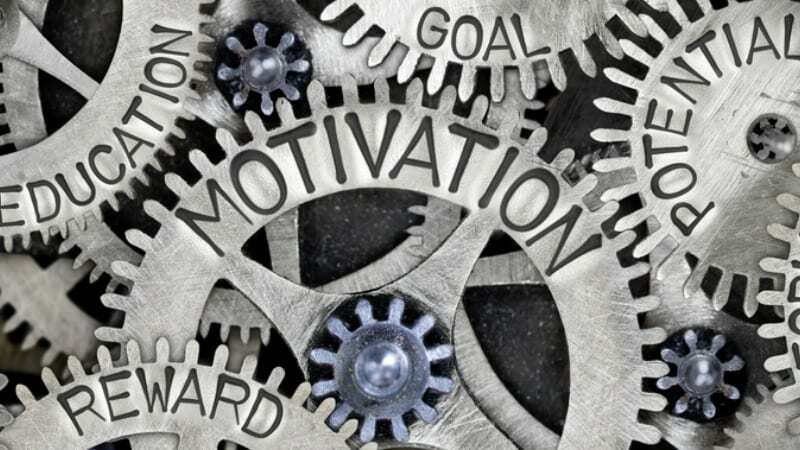 While we cannot change who a student is as an individual, we can can create the optimum environment to encourage students to develop their own motivation muscles. Here are a few suggestions to get you started. Get to know your kids as individuals and discover what they’re interested in and how they learn best. Then design your instruction around these motivating factors. Change up your instruction to keep kids engaged and interested. Provide a mix of independent, partner, and group work. Use technology. Incorporate art. Keep your finger on the pulse of your students and adjust as necessary. 2. Give them ownership of their environment. Involve your students in creating the guiding principles of your classroom community. Work together to establish the optimal learning environment for that particular group of individuals. Like all humans, your students are more likely to take care of something they helped to create. 3. Make sure they have a solid foundation. Explicitly teach basic skills so that students have a solid foundation of knowledge to build upon. Intrinsic motivation will come from being able to tackle complex tasks. Build up students’ confidence and make sure they have the resources they need before they begin. 6. Tap into their innate curiosity. Encourage students to take on assignments simply because they want to know more, instead of feeling required to do so just to receive a grade. Establish a Genius Hour as part of your curriculum to give students the opportunity to direct their own learning. 7. As much as possible, allow students choice in their work. In his book The Highly Engaged Classroom, Dr. Robert Marzano touts the importance of student choice. He states that when students are given choices, they perceive classroom activities as more important. This increases their intrinsic motivation for putting in effort and going deeper with their learning. 8. Make the connection between classroom activities and real-world situations. Maybe one of your students wants to be an engineer when they grow up. If so, they need to have a solid understanding of math concepts. Knowing that what they’re studying will help them meet their goals in the future will boost your students’ intrinsic motivation. 9. Get out of the way. What are your thoughts on intrinsic and extrinsic motivation? Come share your ideas on our WeAreTeachers HELPLINE. And for more tips on motivating your students, check out 24 Ways to Motivate Beginning Readers and Students’ Biggest Motivation Killers.